Students - Once again, as I have several times before, I just participated in SPARK: ART FROM WRITING, WRITING FROM ART, an online opportunity to write or make art inspired by others' work. 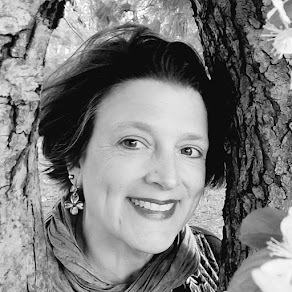 This community of ever-changing writers and artists is gathered up by Amy Souza, who since 2010 has matched folks to write and create within a ten day time period, each from a traded-on-Day-1 inspiration piece. Any adult is welcome to sign up for a pairing, and I can imagine a school doing this same exercise, matching writers and artists with each other for a set period of creating-time. Ten days ago, Artist Jan Irene Miller sent me this fabulous painting to write from, and I sent her a poem. Above you find the poem I wrote from her art. Cow eyes are soulful, and Jan Irene's painting made me imagine spending time with this cow, learning more about the world and quietness...all with no words. I knew right away that I wanted to write about a stare; at first I even considered writing about a staring contest! 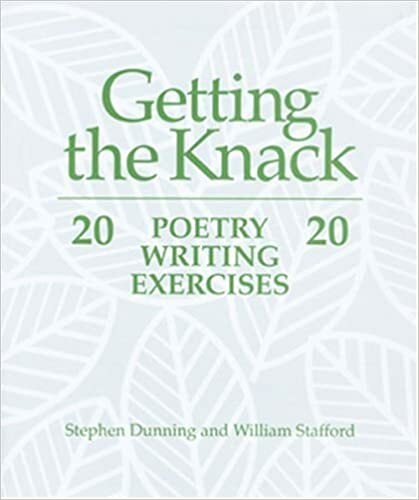 Like most makers, I find many ideas in the ideas and books of others, and for this poem, I found myself rereading a bit of GETTING THE KNACK: 20 POETRY WRITING EXERCISES by Stephen Dunning and William Stafford, published in 1992. This poem is sonnet-like, with fourteen lines, the first twelve alternating rhymes, and the final couplet rhyming as well. Why a sonnet? I am not sure, but I think it happened this way because my son and I were talking about sonnets in the car very recently. Writing spies and sneaks up on you, it does! Many of you may know that I write drafts of poems by hand. This process is very different for me than typing. I do move to typing once a poem is on its way (and once I cannot read through the crossouts), but this movement of idea from head through arm to hand to pen and at last to paper is a different process than flying my fingers across a computer keyboard. See how messy this draft of today's poem is? 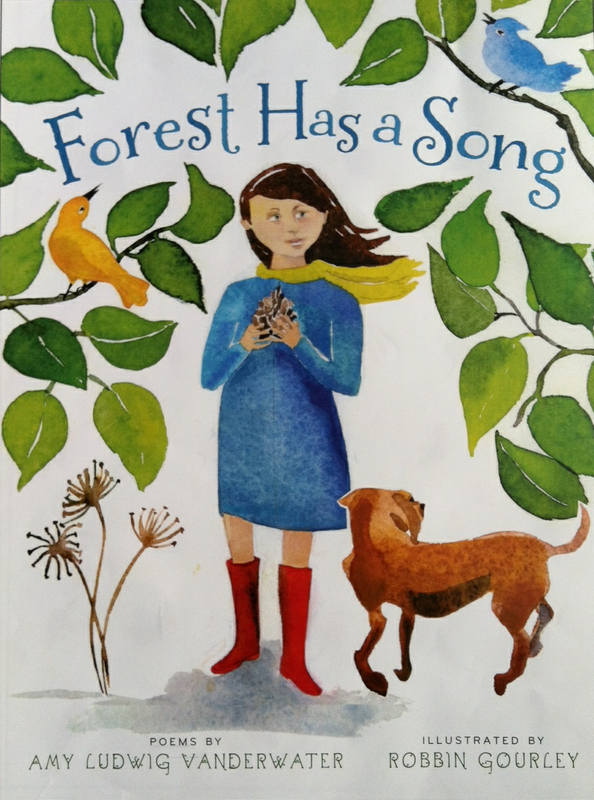 I read aloud as I write and change words as I go, reading aloud and crossing out, again and again, like a person doing cartwheels over and over again. You might try writing from a piece of art by a friend or stranger. You might try a letter poem with a title Dear...,. You might try a bit of rhyme. But not forced rhyme. 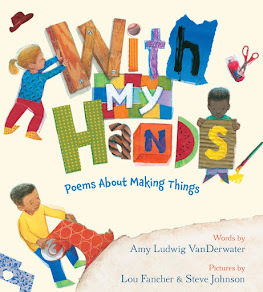 In The Poem Farm's opinon, one strong rhyme in a poem is better than ten weak ones. Rhyme should go unnoticed. You might read an old book to give yourself new ideas. If you don't already, write by hand. Read aloud and cross out as you go. created in response. Thank you to Jan Irene for allowing me to share this delightful wise cow, and for playing SPARK with me in this 39th round. 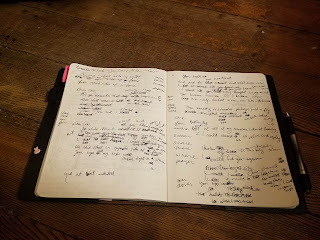 I am very happy to host Miriam Haefner over at my other blog, Sharing Our Notebooks this month. She keeps track of the moon and sky, and I recommend a visit to see and inspire yourself. Too, I am holding a giveaway for a moon journal...to go to a commenter on that post. Please comment by day's end today to be entered into the drawing. 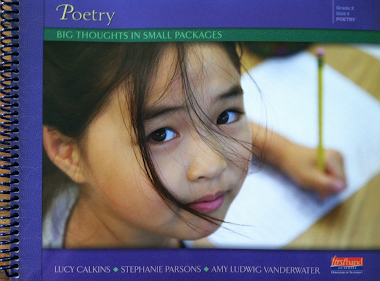 Carol is hosting this week's Poetry Friday roundup today at Carol's Corner. 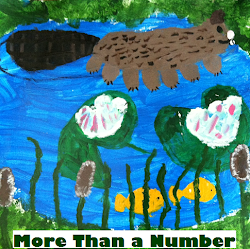 Please know that every Poetry Friday, we gather together to share books, and poetry ideas all at one blog. Everyone is always welcome to visit, comment, and post. We invite you! That cow. Those eyes. And that last line. Totally unexpected and yet oh so perfect! The connection made and written with love, Amy - "You became human. Or I became cow." if we only stop to connect, wondrous things will happen. I love the ending, too. Thank you for this inspiring post, Amy! I love "Dear Cow" and that "one wondrous heartbeat" of connection. So beautiful! Again, you inspire me to try a sonnet. This one moves so naturally that you don't even notice its sonnet-ness. 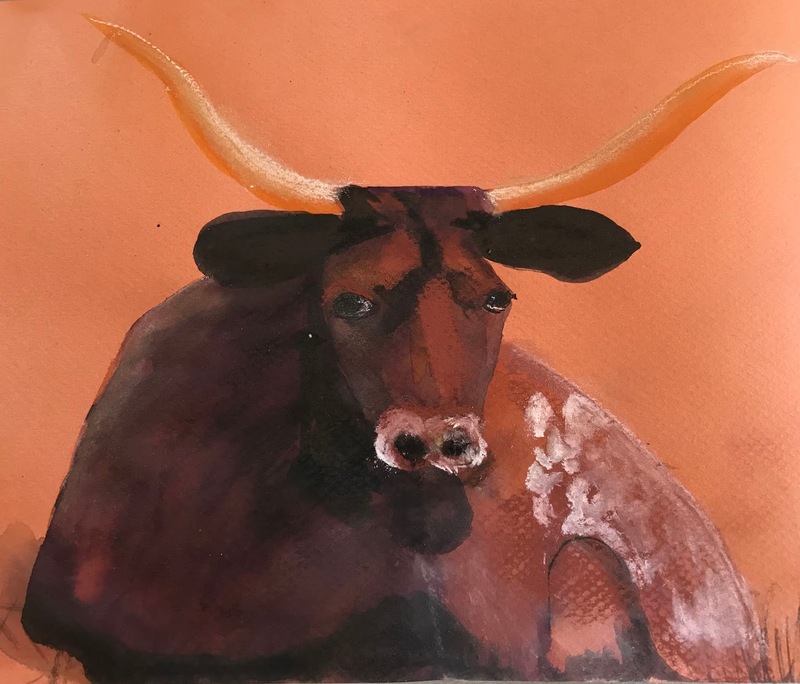 The cow looks like a friend in the painting which is what you captured in your poem. This pair -- art and poem -- makes my heart swoon.